Occasionally, I don't feel like making dinner. OK, this happens a lot. At these times you'll find me pulling the take-out menus from my take-out drawer, yes, take-out drawer, and grabbing the phone. But even this gets old after awhile. So sometimes I'll look in the frozen food section of the market to see what kind of family meals are available. There are all sorts of ideas here. Family sized meatloaves, mac&cheese, sliced turkey, chicken and fish fillets and pasta dishes abound. And it was just those pasta dishes that caught my eye, specifically, the lasagnas. 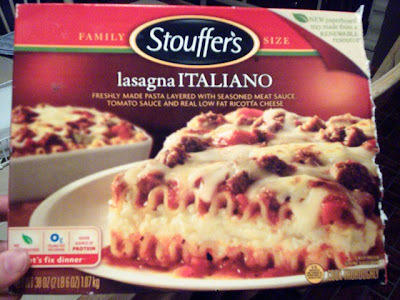 There are several brands of frozen family-sized lasagnas but Stouffer's caught my eye, not only because of name recognition, but because I've bought Stouffer's before and have always been pleased. They have the reputation of being a quality product and personal experience has found that to be true. This particular package was 2lbs. 6oz. and contained approximately 5 servings ( in my house 3 ). 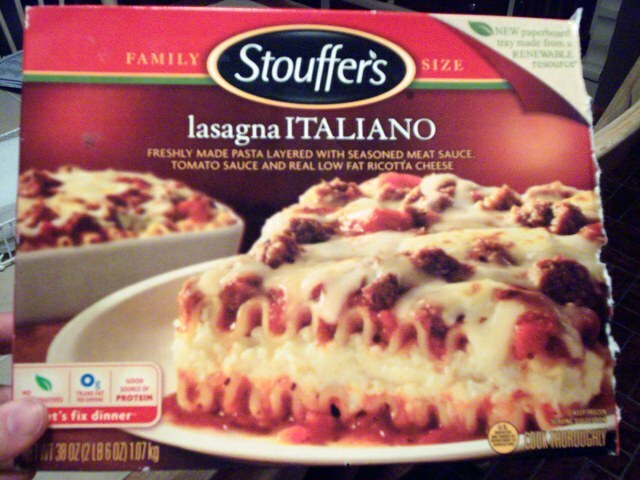 It was made with fresh lasagna noodles, seasoned meat sauce, tomato sauce and real low fat ricotta cheese. It retailed for $ 7.99 at my local Stop&Shop. You can make it in the microwave in just 30 min. or you can do as I did, put it in the oven for 80 min. That's it really, just bake and serve, couldn't be easier. 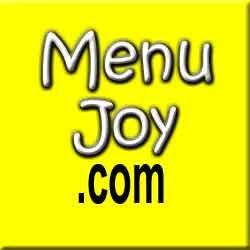 Don't forget our friends at MenuJoy.com to get the newest restaurant menus.